…..yes, yes it is! 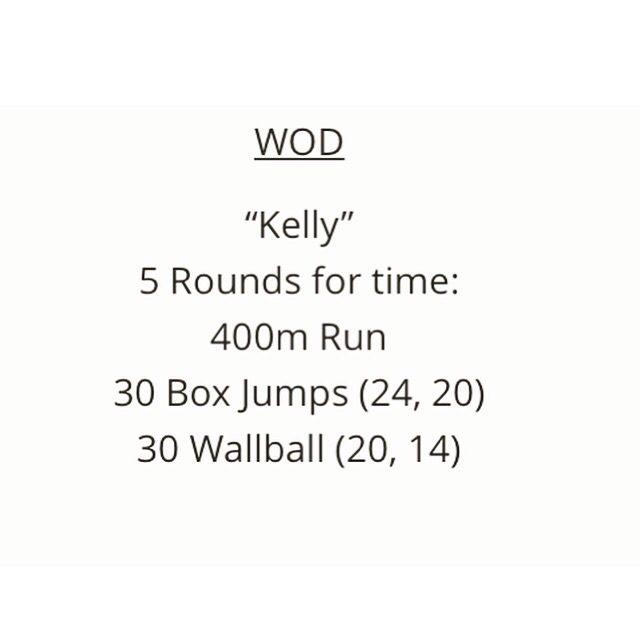 My long-runs are done and now I can go back to focusing on Crossfit and not have to worry about tiring my legs for the long run. Deep down, that is what I am thinking but I know that this is the time where I need to be the most careful. 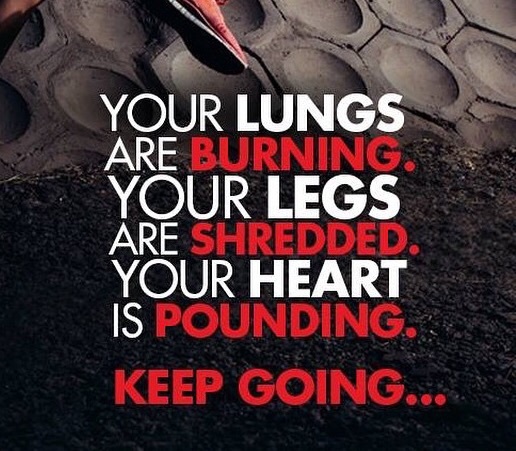 I have put in the effort, I have conquered the 20 21 miler and now it is the time where I need to give my body the proper care that it needs and the chance to recover so that come July 26th, I am ready to race strong..and smart! Someone please pinch me! I am still on cloud nine… I just can’t believe I did this and I can’t believe how enjoyable it was. 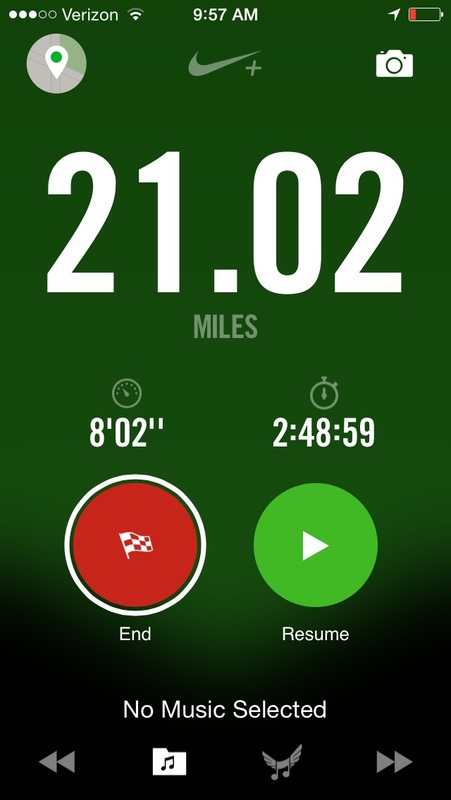 I ran the first 12 miles alone on the roads and at mile 12, I entered a reservoir to do the final 8 with my mom and a member of my running team. My running partner was just starting her run so she was ready to get moving..and by ready to get moving, I mean she certainly set a strong pace. There were moments where I wasn’t sure I would be able to hold the pace but I did! I felt a little better on Sunday morning but my right knee was in a bit of pain. I learned from an injury last year that knee pain is often a result of tight hips, hamstrings, or quads which then tugs on the knee. 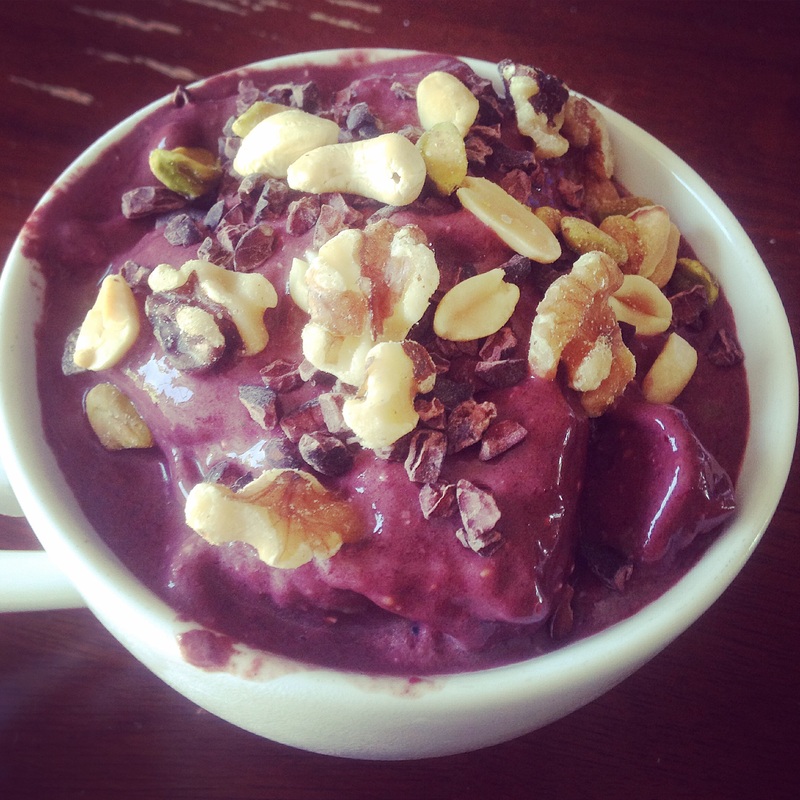 Yoga was definitely in my Sunday morning game plan along with this bowl of blended berries. There is nothing I needed more after a 21 miler followed by lots of 4th of July junk food than a good stretch at yoga and detoxifying fruit bowl. During yoga, it was clear that my right knee pain was due to an extremely tight right hip. Any position that stretched the hip flexors is where I experienced the most pain but thankfully those were the positions that loosened them up and I walked out of Yoga with a much better feeling in my knee. Lets talk food because since being on summer vacation, I have had time to whip up some pretty delicious dinners around here..but clearly still not enough time to post more blog posts! oops. 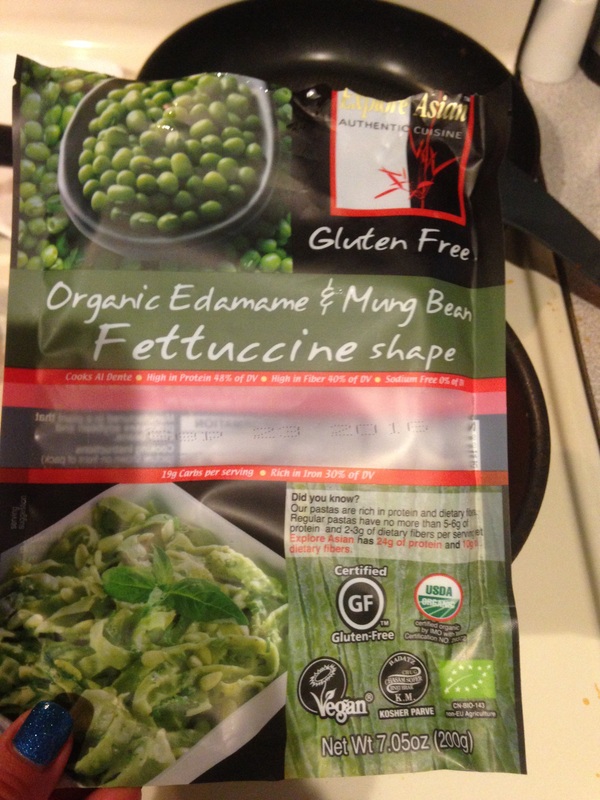 If you are craving pasta but do not want all the gluten or carbs…this is definitely the way to go. I think it even tastes better than pasta! 1 serving is 1/4 of the fairly large batch and has 20 grams of carbs and 25 grams of proteins. We are also a fan of the Black bean pasta. We made a homemade tomato sauce with onions, mushroom and basil with some shrimp. 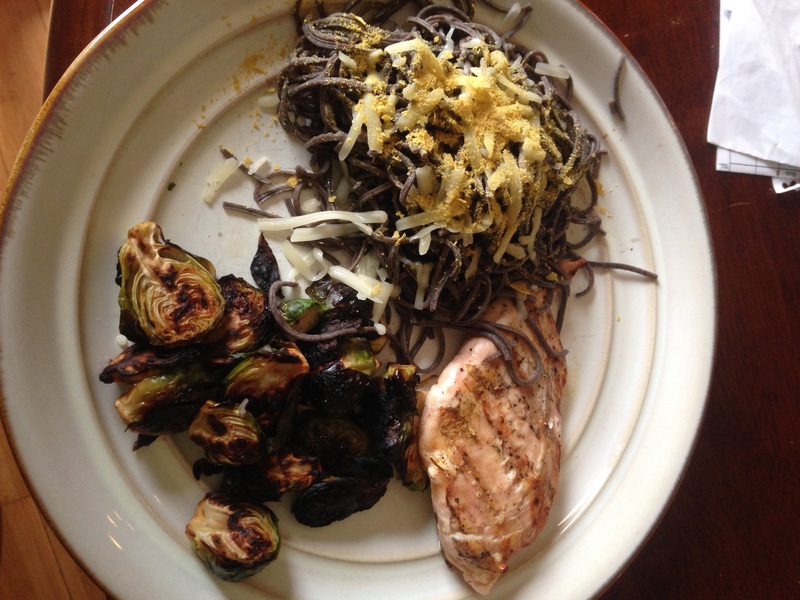 It made another appearance later in the week with chicken and brussels sprouts. This time no sauce, just sprinkled swiss cheese and nutritional yeast. I am telling you, this pasta is the way to go. It is so delicious just plain or you can jazz it up with various marinara sauces or avocado sauces. Last Wednesday I came home from a farm stand with LOTS of Parsley and the last time I did that, it sat in my fridge and rotted. This time around I knew I had to use it ASAP so the first thing that came to mind was GUACAMOLE. 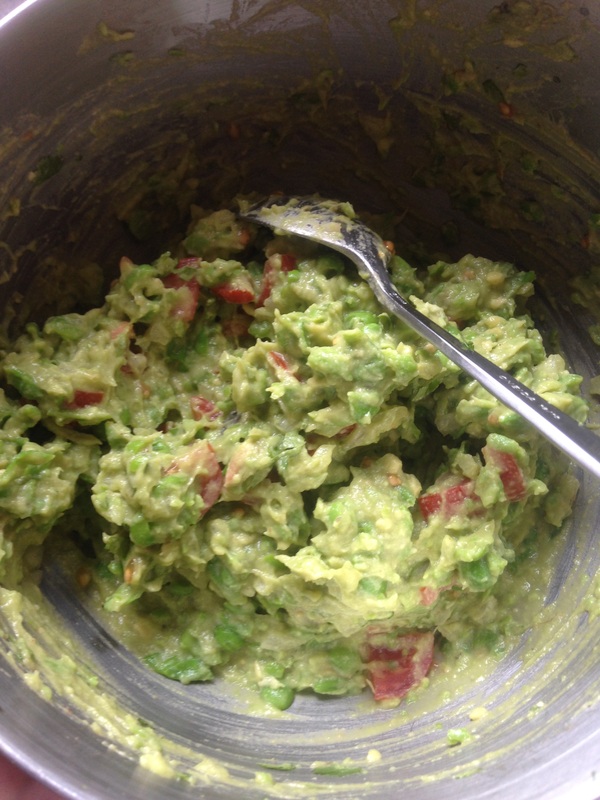 I used Running on Veggies guacamole recipe that uses a cup of mashed peas. It is perfect. You double the volume with less that fat and more vegetables and you can’t even taste the peas. Guacamole is not a main course, though it should be!…so I decided to pair the guacamole with some homemade Fajitas using crockpot shredded chicken. Easiest meal right here! 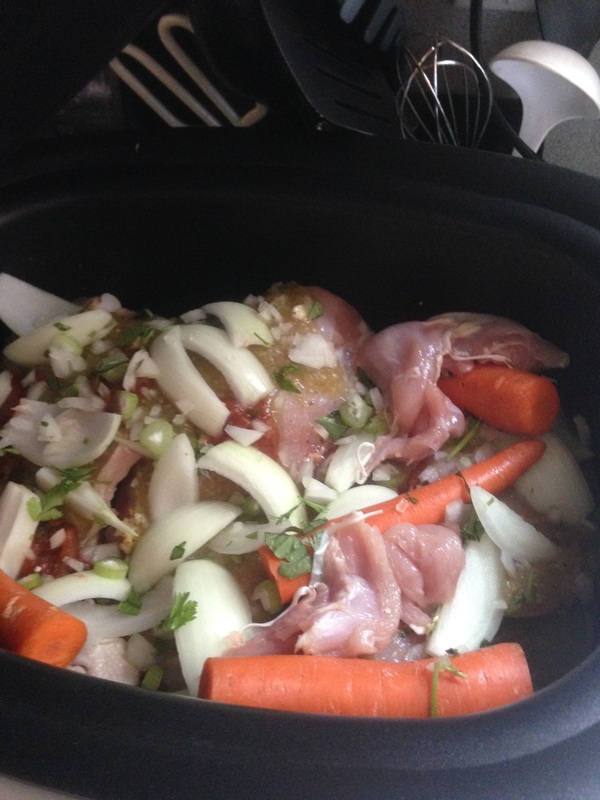 Just chicken, salsa, bone broth, carrots, onions and parsley..set the crockpot for a few hours and boom..delicious shredded chicken. Next postWegmans, Wineries, and Beautiful Runs…Ithaca Done Right!